Next meeting TUESDAY 23rd JUNE | WUPS! We were happy to see that there were 11 members at our last meeting on 9th June out of a total of 17 who have now joined or expressed an interest to join. It is satisfying to see our numbers steadily growing from the original 6 who attended the first jam in April. We have decided to simplify things a little for future meetings, as it was felt that in our enthusiasm we were maybe getting a little too ambitious too quickly, so we have decided to concentrate on some of the less hard songs to build our confidence and improve our playing. 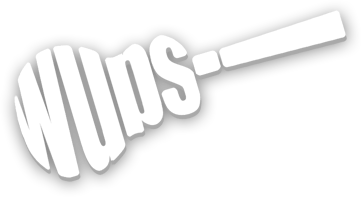 To aid this we are now publishing our own song books, starting with Wups! Easy Songs which will be followed quickly by Wups! Intermediate Songs. Both will be able to be downloaded from this site in the Song Book section. In fact, Wups! Easy Songs is already available, with the next book to follow. These will be the only song books we will be using for the time being, so they will be the only ones you will need to bring to the meetings. We will have some ‘hard copies’ available for those who are unable to print. We are confident that with the new format the evenings will go with a real swing, and we look forward to meeting up with you all on the 23rd. In the meantime, Happy Strumming! !